Each across clue contains an extra word that must be removed before solving. 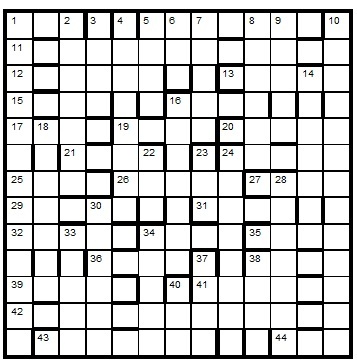 The initial letters of these words, read in clue order, tell solvers how the completed grid must be adapted producing the naked truth and leaving only real words or abbreviations when empty cells are ignored. To enter this competition, send your entry as an image or in list format, to ccpuzzles@talktalk.net before the 8th December 2015.The first correct entry drawn from the hat will receive a book from the Chambers range which has been donated by Chambers.